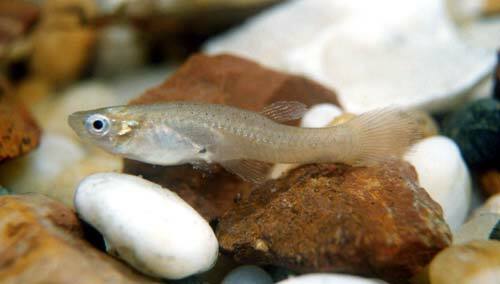 Gambusia or mosquitofish have been introduced to many countries to combat mosquitoes – they eat the larvae and pupae. They were first released in New Zealand in the 1930s. In a number of countries they have become pests by competing with native fish, and in New Zealand they are classed as an ‘unwanted organism’ under the Biosecurity Act 1993.